You are here: Home › Tips for your website › SEO services: Are they highly technical and exclusively complicated? SEO services: Are they highly technical and exclusively complicated? people at a time. 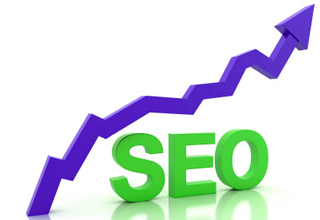 I have already answered the question that the SEO services become complicated for the non-seo professionals. But, when you are about to consider the issues for the SEO experts, things are pretty easy. For me, or, our expert team these services are routine works where nothing is too difficult or, too complicated. Anyone can understand the basic of these services and improvise the SERP results and make profits in huge amounts. Another main reason why people fail to discover the excellence and beauty of SEO is the uncertainty. You can never tell when and how you are going to attain desired level success. You have to know what you can do to change the situation with your SEO skills. You have no way to keep things aside, you have to face everything directly and find the solutions. These things make the entire thing very clumsy for the people who are not used to this. If you are a business owner, you know that marketing strategies need sometime to show up the results. SEO services are nothing but marketing strategies- it also needs time to get you back the desired result, right? We have worked with many customers and got huge success in SERPs using SEO and we have seen that the entire process is just an implication of our previously prepared plan and that’s all. We have seen that the customers are returning and looking forward to start a new business with the success achieved in their recent venture. After many years, SEO is not a myth now and has become the most important part of marketing a business online. And the answer is very simple to the most popular question on earth- Are SEO services complicated? The answer is NO! But, we have a complete and different view about the professional skills associated with SEO services. Most people have the idea that anyone can do SEO. We believe, none other than an expert can do it. Person, who doesn’t have any idea about website marketing, can never practice regular SEO services. The regular SEO services are difficult for the people who don’t have ideas and who haven’t prepared a good plan. But when you have something in your hand to replicate, you can market your product as well as your business online.